When the Chicago Blackhawks traded Brandon Saad to the Columbus Blue Jackets on Tuesday afternoon, plenty of people were shocked by the move, and the winger himself was one of them. 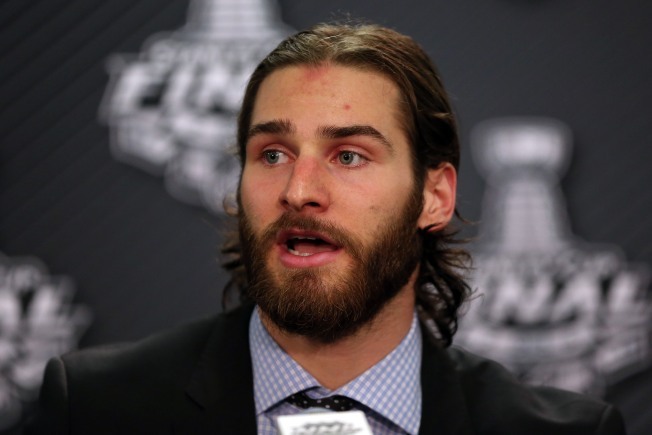 “A little shocked,” Saad said in a conference call. “It’s my first time going through the process. At the same time it’s a business." The Blackhawks were going to have a tough time making moves to clear enough salary cap space to sign Saad, who reportedly was seeking a contract that would pay him $6.5 million per season. That knowledge certainly crept into Saad’s mind, and it perhaps helped cushion the blow of the team sending him to Columbus. “With the Blackhawks and how close they are to the cap, you knew something was going to happen with me or someone else,” he said. For now, Saad is letting his agent focus on getting a new contract done with Columbus, and he’s also looking forward to joining a forward group that includes All-Stars like Nick Foligno and Ryan Johansen.